Up to 70% of Ukrainians are planning to go to the polls. 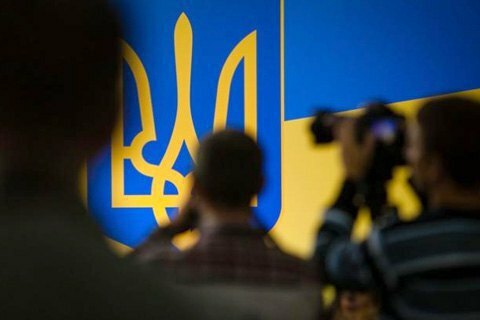 None of potential presidential candidates is likely to score over 10% of votes at the moment, according to a survey carried out by GfK Ukraine in July 2018. Ex-Prime Minister Yuliya Tymoshenko remains the leader with 10%, closely followed by comedian Volodymyr Zelenskyy (7%), singer Svyatoslav Vakarchuk (6%), former Defence Minister Anatoliy Hrytsenko (6%), President Petro Poroshenko (5%), Opposition Bloc leader Yuriy Boyko (5%) and Radical Party leader Oleh Lyashko (5%). According to the survey, 70% of respondents are planning to go to the polls. The lowest turnout is traditionally expected in the south and east. The west is no longer the most active region while the figures for the centre, Kyiv and north are not lower than in the west and are sometimes higher. Those who do not plan to cast their ballots say this is because they do not see a decent candidate (45%), or do not think that their vote can make any difference or have no trust in an honest election (33% each). Tymoshenko is in the lead in the centre, south and north, Vakarchuk in the west, Boyko in the east and Zelenskyy in Kyiv. Eight parties are likely to cover a 5% threshold: Fatherland (18%), Civic Position (11%), People's Servant (10%), Opposition Bloc (9%), Svyatoslav Vakarchuk's hypothetical party, Solidarity, the Radical Party and For Life, 8% each. The next presidential and parliamentary elections are scheduled for 2019.